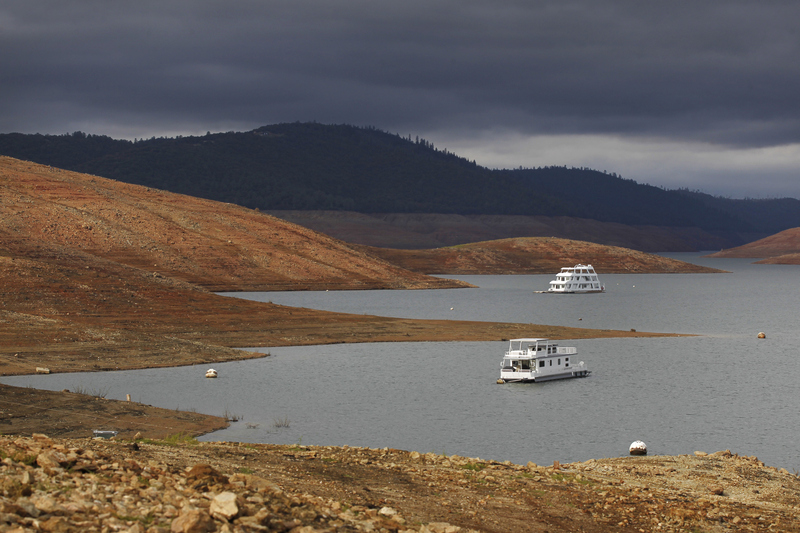 House boats sit idle in the low water of Lake Oroville Nov. 29, 2014 in Oroville, Calif. Despite recent rainfall, California's second largest reservoir is near the 1977 historic low at 26 percent of capacity. "This has been quite the progression," said longtime resident Sharon Smith, who has been walking the dam since she moved to the area in 1997. "It seems like it's happening so fast," she said.